Notice! Venosa Beach Resort & SPA does not accept reservations at this time. Please try again later. Venosa Beach Resort & SPA Contact. The Venosa Beach Resort & SPA is beachfront hotel..
Balconies and flat-screen TVs can be enjoyed in every room of the Venosa Beach Resort & Spa. Each spacious room has sea views, a satellite TV and free Wi-Fi access. Day- and night-time events are organised by Venosa’s animation team. Relaxation options include a sauna, indoor pool and various beauty treatments. Water sports are available at the private beach. 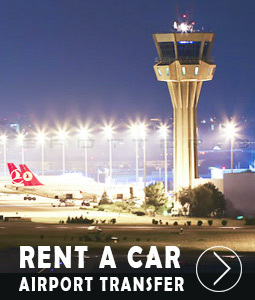 The resort is 485.5 miles from Bodrum-Milas Airport. Free parking is possible on site. Venosa Beach Resort & SPA accepts VISA and reserves the right to temporarily hold an amount prior to arrival. Venosa Beach Resort & SPA accepts Maestro and reserves the right to temporarily hold an amount prior to arrival. Venosa Beach Resort & SPA accepts Bank card and reserves the right to temporarily hold an amount prior to arrival. Venosa Beach Resort & SPA accepts ATM card and reserves the right to temporarily hold an amount prior to arrival. Breakfast, lunch and dinner are open buffet in the morning and 24 hours local drinks and Turkish coffee are free of charge within the brands that the establishment has determined. All foreign and indoor drinks are freshly squeezed fruit juices. Orange juice (07: 00-10: 00 breakfast) is free. The slide pool is open between 10.00-12.00 and 15.00-17.00 hours. Couples wishing to make use of the honeymoon package must show their marriage certificates at check-in for accommodation they will make within a year from the date of marriage. The entrance to the Venosa Beach Resort & Spa rooms starts at 14.00. The departure time from the rooms is no later than 12.00. The use of outdoor open spaces is subject to seasonal conditions. 2 + 1 or 3 adult stays in rooms other than family rooms or some private rooms may cause congestion in the room and extra beds may not be comfortable with fixed beds. All inclusive accommodation on a certified basis; starting with dinner, including dinner until the number of nights stayed, and ending with lunch on the day of departure. Standard Rooms: 24 m² wide. Family Rooms: 35-40 m² with mid-door rooms. Large Rooms: located on the first floor of the facility. It is 32 m² wide. Large rooms can accommodate 2 adults and 2 children. 2 people can not be accommodated. Tesiste has 3 disabled rooms. The resort requires vouchers from all guests upon arrival. Wifi is free of charge in the common area. Honeymoon guests are required to present their marriage certificates upon arrival at the hotel. Every day a waterfall is placed in the minibar. The sauna is open between 09:00 and 19:00 hours. Turkish coffee is served in the lobby bar free of charge. The resort can be accessed by haşema in the outdoor pool and can not enter the indoor pool. Very clean and tidy. Staff are very friendly and accommodating. The hotel set in lovely surroundings, would definitely visit again. I've had a wonderful turkish bath and a relax massage by terrific Dani from Bali. This was one of the highlights of my short stay in Venosa Beach Resort. Everything was well organised, the food was excellent, the staff polite and friendly and the weather in october was perfect. A very good hotel, excelent entertainment, food and location. Not the best cleaning services (the bathroom) and a pretty rocky beach, especially into the sea... Would definitely go back! Fantastic hotel clean friendly helpful staff great facilities. Rooms are big with great views. Lovely food. Animation team are great. This place is the best place for holiday in Didim area .. hotel is big rooms are very good and large .. beach have got Blue Flag means extremely clean..Foods are good enough .. all the team have real hospitality .. I am sure you will enjoy to stay in here..
Honeymooners need to show their marriage certificate at the entrance!